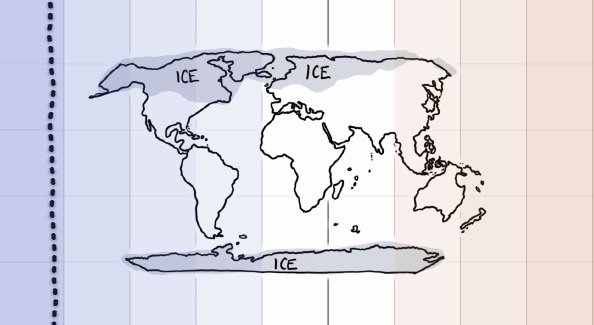 Do you like nerdy web comics and climate change real talk? Of course you do. The two hottest months the world has ever recorded just happened back-to-back. And we’re about to have back-to-back-to-back hottest years. Sea levels are also rising, carbon dioxide in the atmosphere is at its highest levels in eons, and a host of other signs show that humans are altering the climate in ways unseen in millenia. Yet “the climate has changed before” line is often trotted out to essentially say ¯\_(ツ)_/¯. Enter xkcd’s comic, which lays bare why we shouldn’t shrug off the recent rapid changes. Using data from tree rings, ice cores and thermometers, it shows that yes, the climate has indeed changed over the past 22,000 years. Slowly. The ups and downs have been driven by changes in the earth’s orbit and other natural factors that influence the earth’s climate. The changes have been slow enough, however, for humans to adapt and even thrive during that period. The difference in the past century has been humans adding more greenhouse gases to the atmosphere. The subsequent temperature rise has been far more rapid than the generally gentle ups and downs over the past 22,000 years during which humans have spread out across the planet. And the temperature rise in the pipeline is even more dramatic unless we cut emissions. There’s been some pushback from scientists about comparing paleoclimate data to the present temperature record. But University of Albany PhD student Chris Colose, one of the scientists pushing back a bit, summed up where the climate is heading if we don’t cut carbon emissions. Anyways, enough with the chit chat. Scroll down through the whole xkcd timeline below (or check it on Munroe’s site).